If you are interested in being contacted with upcoming teen volunteer opportunities. Please sign up here. We ask that teen volunteers be entering 8th grade or above in Fall of 2019. It is important that your teen take direction well, is interested in being a leader, and enjoys being with little children. 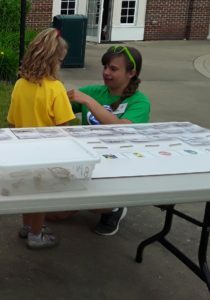 The responsibilities for Teen Leaders will include having a group of (up to) 4 children in which they will act as a camp counselor and guide them through the camp. 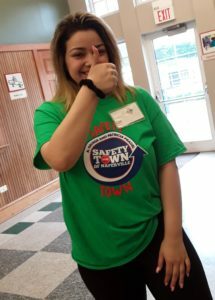 Teen leaders are expected to be at Safety Town for 2.5 hours each day, Monday-Friday and will earn 12 hours of community service by the end of the week. The last day of your teen’s session, they will receive a signed certificate of completion with the amount of hours served. Online Registration for 2019 will be available starting Friday, May 3rd at 6pm. Please email info@napersafetytown.com for any additional questions. Team Captains are volunteers who are peer leaders to the teen leaders and help lead the children through the week-long camp. Team Captains receive 40 hours of volunteer hours and are expected to attend a three hour training session. We ask that Team Captains have volunteered for two summers and are entering Junior Year in the Fall of 2019. The application to be a Team Captain can be found here. Applications will be accepted until April 30. For additional information, please email info@napersafetytown.com. 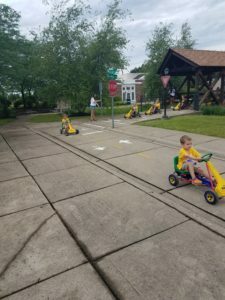 Volunteers help children safely ride their bikes on the streets of Safety Town. Responsibilities may include directing traffic at corners, stop light, stop signs, or bridge, reciting safety rules, or admitting children onto town. Sign up here.